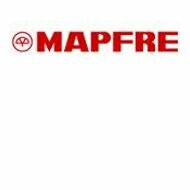 The American Commerce Insurance Company operates under the brand name MAPFRE and is a personal property and casualty insurance company. This means that this is not a company that sells health insurance products. Enter your zip code below and compare health insurance quotes from several reputable companies! American Commerce was founded in 1946 and their US corporate office is in Massachusetts. The company sells insurance products in the US and 42 other countries. However, they are only licensed to sell products in thirteen states in the US. American Commerce has also received recognition for being one of the “40 World’s Best Companies,” in 2009 by Business Week and was ranked as one of Ward’s Top Performing P&C Insurers in 2009 & 2010. Currently, they have an AM Best rating of A+ but a long-term outlook of negative. American Commerce does not direct hire any agents. They utilize independent agents to sell their insurance products. An independent agent is someone who does not work directly for any companies that provide insurance products. Instead, this person is someone who is licensed to sell insurance from multiple companies. They will find the best deal for you from one of the companies that they are licensed to do business with, answer any of your questions and then forward your policy to the insurance company for final approval. An independent agent usually works for an independent insurance agency, although they can work for themselves as well. Typically, an agency like this works with between three and ten insurers from which they can choose products. In addition, they usually sell all types of insurance, not just health, auto, business and so on. American Commerce does offer an agent finder tool for your convenience. This works by entering your zip code or you may enter your city and state for a list of agents in your area. When looking for work with American Commerce, you can look for positions anywhere within the MSPFRE family or you can specify specific companies, such as American Commerce. American Commerce offers 24/7 claims service 365 days a year. This is not an automated service, but an opportunity to talk with a life operator at the time of your incident. The number to call for claims is 877-224-5677. You also have the option of filing your claim online if you do not feel the need to speak with a representative. It typically takes one business day for the company to get all of the pertinent information for your claim, including having your car reviewed by an adjuster. American Commerce has mixed reviews regarding their services. The number one complaint regarding the company is that they do not always provide the support that they claim that they do and it is difficult to get questions answered in a timely manner. However, a common compliment is that they pay their claims quickly and that their staff is polite and easy to work with. Employees of the company say that working for American Commerce provides them with the opportunity to work with a company that offers all of the benefits and support a large company has with the feel and comfort of a smaller office. American Commerce does not offer a quote tool on their website. Instead, they ask that you contact a local agent in order to get quotes for their products. Of course, your best option is to get quotes from multiple companies. You can do that by using a quote tool, which you should have no problem finding online. For health insurance quotes, however, you can enter your zip code below and start comparing rates from multiple companies right now!